Rising floodwaters engulfed the village of Koh Keo late last year, but 63-year-old widow Mom Kham had seen it all before, many times over. Each year monsoonal rains have brought isolation and havoc to Mom Kham’s village and to villages in many parts of the Kampong Chhnang and other Cambodian provinces. Rising floodwaters engulfed the village of Koh Keo late last year, but 63-year-old widow Mom Kham had seen it all before, many times over. 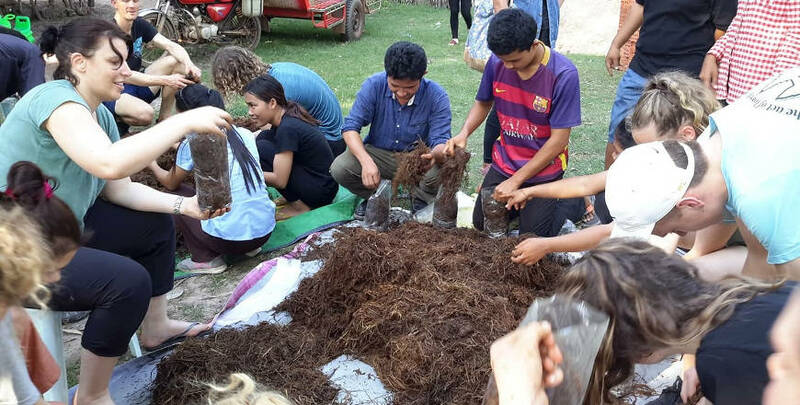 Each year monsoonal rains have brought isolation and havoc to Mom Kham’s village and to villages in many parts of the Kampong Chhnang and other Cambodian provinces. As the floodwaters spread out across the low-lying areas, they wreaked havoc, ruined crops and caused untold damage to people’s homes and livelihoods. But those same floodwaters that had carried destruction and devastation to many people also became an avenue to bring them hope and help. 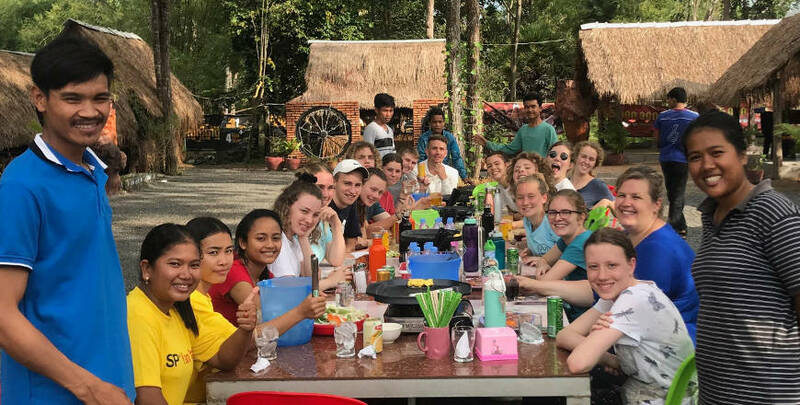 Four tonnes of rice, hundreds of bottles of soy sauce and fish sauce and 200 kilograms of salt were loaded into boats by the young people and leaders of the Lutheran Church in Cambodia and Lutheran World Mission, then carried down the rivers and shared with Mom Kham and 192 families from Koh Keo and surrounding villages. But Mom Kham and the other families received more than rice, sauces and salt. They were also given a tract, ‘Who is God’, and were told about Jesus. 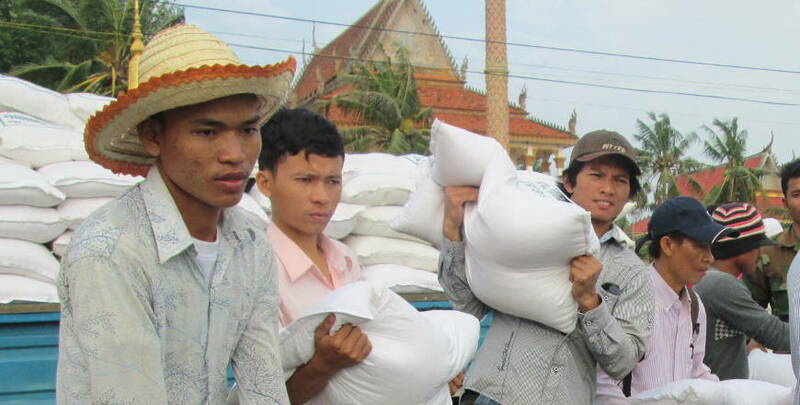 The flood relief program is a special part of the ministry of the Lutherans in Cambodia. 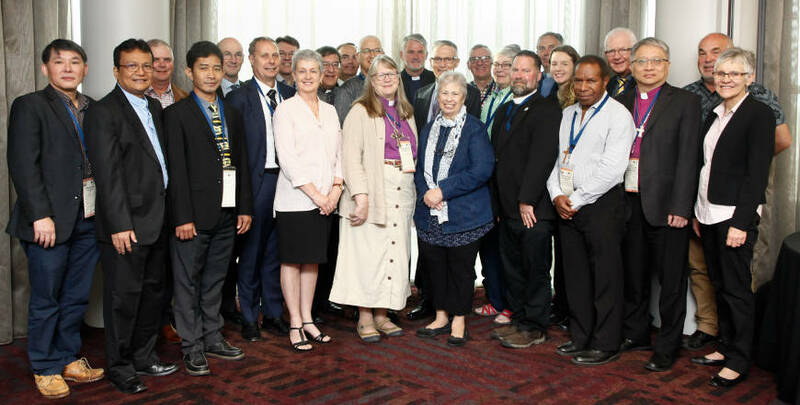 Through this practical ministry in a time of great need, many people whose lives have been badly affected by the floodwaters get to see how Jesus’ love comes to life in and through the people of the Lutheran Church in Cambodia. This story was also published in the March 2015 edition of Border Crossings, the magazine of LCA International Mission.